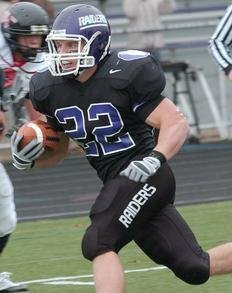 Scott Panchik was a college running back at Division III powerhouse Mount Union where he won two national titles. 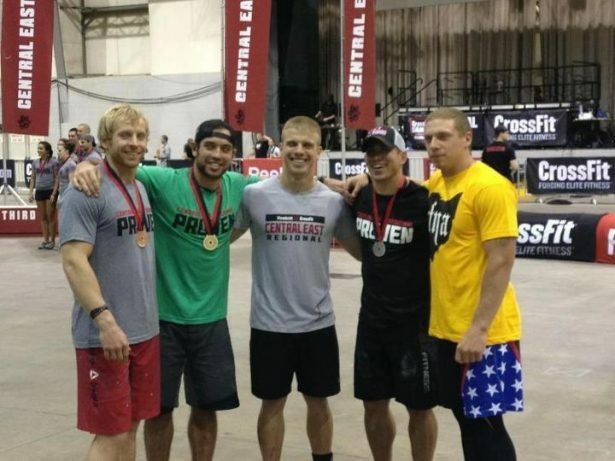 He is now continuing that success in the sport of CrossFit where in his first year of competing placed 4th at the 2012 CrossFit Games. He sat down for an interview with us. 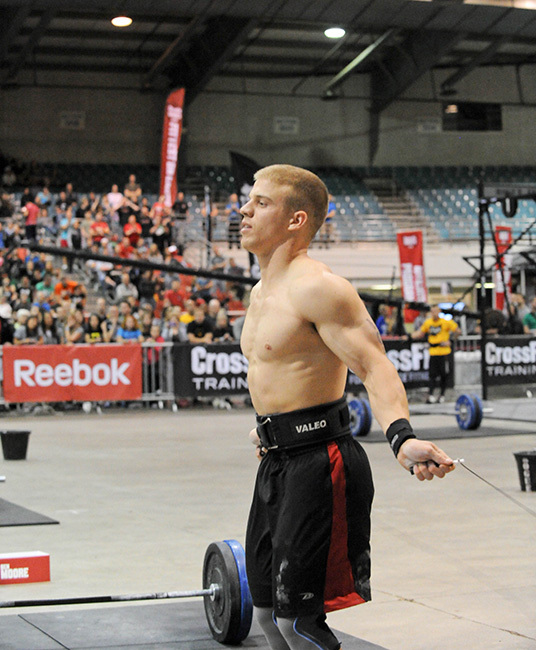 Tell us how you got started in CrossFit. My dad was the one that got me started into Crossfit. 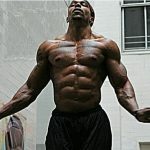 I was training for football at the time, and had always trained isolating 2-3 muscle groups a day. I came home over Easter break and he talked to me about these Crossfit workouts that he had been doing at the YMCA with one of his buddies. He explained it to me and my initial reaction was “That doesn’t sound very hard”. He explained the different exercises and the order of the workout, along with the weight prescribed. I was confident I was going to man handle this workout, but boy was I wrong. It was a humbling experience as I laid in the Crossfit recovery position gasping for air. Over break I continued to workout with him and really got hooked on the program. 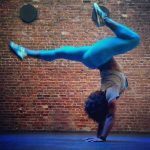 I took Crossfit back to school with me and continued to develop the movements. I spent a lot of time watching videos on YouTube trying to perfect some of the more complex movements. 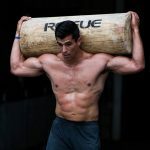 When I came home for the summer our family found a Crossfit affiliate in Pittsburgh, and made it part of a summer routine to go down in the mornings and workout. My family has always been competitive, and Crossfit was just the thing for us to feed off of each other on a daily basis. I truly believe that you are only as strong as the people you compete with on a regular basis. Which made this the perfect training program for me, along with everyone in my family. Between training for college football and CrossFit training would you say one is more difficult than the other? Training for the Crossfit Games was much more challenging. 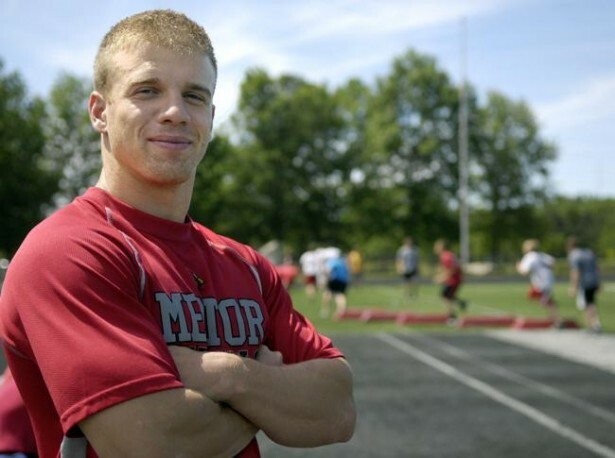 Football and Crossfit are demanding both mentally and physically. Crossfit is much more individualized and the battle comes within. Daily, I was constantly fighting to see how far my body could actually go. Pushing that threshold to the max became and everyday thing. The volume in training was much higher compared to training for football. Football training was much more sport specific. I was given much more rest time and it took 11 playing as 1 everyday to be successful. One of the best things about Crossfit is that you and you alone are responsible for your destiny. 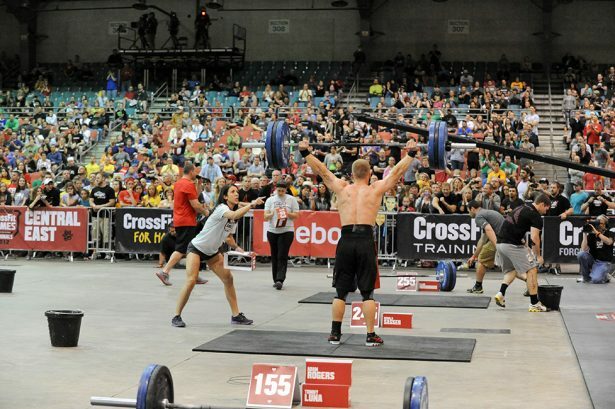 Do you think CrossFit training would be good conditioning for athletes during the offseason? Yes, I think it is great conditioning for athletes in the offseason. As a high school strength and conditioning coach our football team incorporates Crossfit into our offseason program. We are not always able to do strictly Crossfit because of equipment and space, but workouts are scaled and altered to meet the needs of our team. 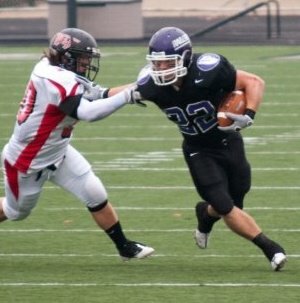 The program needs to be sport specific geared towards developing speed and explosive power. 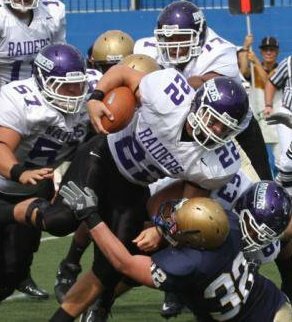 Power/hang cleans, deadlift, squats, push press, and bench are staples to our football program. There are times we combine exercises to create a multi-joint movement (squat clean, clean andjerk, thruster-front squat into a press). Varying these movements at a high intensity will create explosive well conditioned athletes. Do you ever do any other kind of weight training or are you 100% CrossFit? Throughout the year I like take some time to concentrate on my Olympic lifting. During this time I usually work with a percentage of my max and vary the sets and rep range. The sets and rep range will vary from day to day. Some days I will work strictly on form with light weight, and other days on strength with a heavier load. Closer to competition I will start to do more than one workout a day, but its important to use periodization throughout the year to ensure that you peak at the right time. High volume for 3-4 weeks followed by light exercise for a week will help you as an athlete peak at the right time. Does your workout consist of a WOD or do you do extra work on top of that? I typically do one workout a day and either a skill or strength sessions before. I typically like to do my strength before because it helps ensure my form doesn’t get sloppy. I usually like to listen to hard rock while I workout, but I do mix things up occasionally with a rap day. I eat a lot of healthy foods, but I don’t follow any particular diet. I just make sure that each meal is high in lean protein, good carbohydrates, and some fats. I try to eat five meals a day with two of them being a larger sized snack or a Progenex protein shake. What are the top 10 food we would find in our kitchen? My favorite exercises are power cleans, thrusters, and burpees. My least favorite exercises are handstand pushups and rowing. Leave your ego at the door. 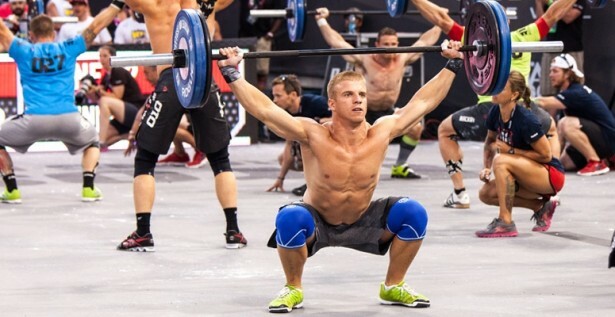 Before you start competing with anyone in the gym make sure you have proper form in all the Crossfit exercises. 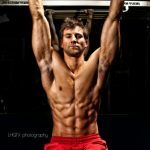 Crossfit is the perfect program for any determined individuals and it does not discriminate against age or experience. All the movements and workouts are scalable so don’t be afraid to give it a try. I have one of the most amazing families a guy could ever ask for. I have four brothers and one sister that have all pushed me in workouts and supported me all along the way. My parents are the ones I should be thanking for getting me involved in Crossfit. They have also been training me for this my entire life, by getting me involved in a wide range of athletics growing up. Crossfit is something that has brought my family closer and made us all around stronger individuals.